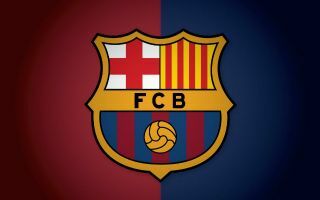 Barcelona have been handed some horrible injury news regarding duo Rafinha and Sergi Roberto following their 1-1 draw with Atletico Madrid on Saturday evening. The Blaugrana came away from the Wanda Metropolitan with a point following a last-minute equaliser from Frenchman Ousmane Dembele, however the club’s efforts in the match seem to have come at a price. Following the match, news has emerged stating that Brazilian midfielder Rafinha will be out for around six months, and subsequently the rest of the season, after he ruptured his ACL in his left knee, according to Marca. That wasn’t the only injury blow that the Spanish giants suffered in the match, as journalist Samuel Marsden, who writes for ESPN and Diario Sport, tweeted that Roberto will be out for as long as four weeks after sustaining an injury to his hamstring. Sergi Roberto out for three or four weeks with hamstring problem… Rafinha needs to undergo surgery for a ligament injury. Not good. This will be bitter news for Barcelona to take, as both players have played significant roles for Ernesto Valverde’s side this season. Brazilian Rafinha was use heavily when Lionel Messi was out injured in October, with Sergi Roberto often being deployed either at right back or midfielder is nearly all of Barca’s games. Given the fact that the club have already sustained injuries to Samuel Umtiti and Lionel Messi so far this campaign, this news regarding Rafinha and Roberto may prompt the club to dip into the transfer market in January to bolster their midfield options even further. Moving away from the Premier League now, and you can catch Lazio take on AC Milan at the Stadio Olympico in a mouth-watering Serie A clash this evening by clicking on THIS link here!